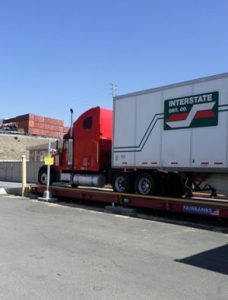 Environmental Noise Control performed a noise study on the Anderson Hay and Grain Facility in Wilmington, CA. 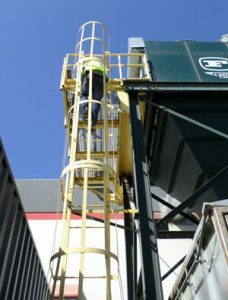 ENC established that the industrial facility was out of compliance with local noise regulations. ENC designed and installed noise mitigation which ensured that the facility be within noise regulations as well as be a good neighbor to nearby residences. 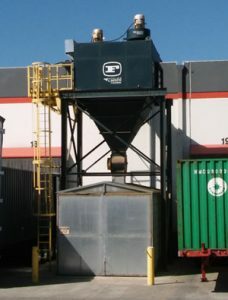 ENC was contracted by Anderson Hay and Grain to perform a noise study on their industrial facility in Wilmington, CA, to determine if operational noise emissions were exceeding the City of Los Angeles’ noise code standards. ENC performed a survey of the unmitigated facility and determined that they were out of compliance and that noise mitigation was required. ENC was able to provide a noise control plan to reduce the noise levels, ensuring compliance with regulations. The mitigation design used was 664 feet of ENC’s STC-25 acoustical blanket material in green, delivered and installed around noisy equipment by ENC’s licensed contractors. 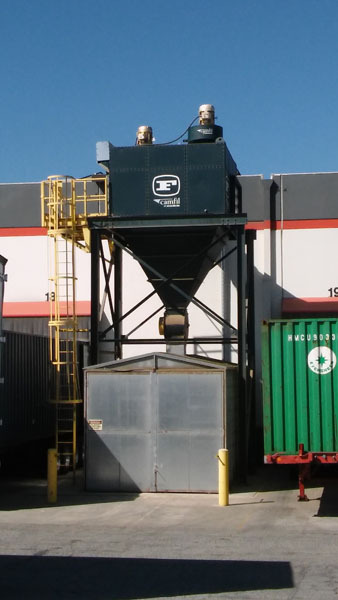 The implementation of sound control at the hay and grain facility was a success and resulted in compliance with local regulations as well as a significant reduction in noise at neighboring residences, proving the facility to be responsible and proactive community members. Anderson Hay & Grain silo during noise measurement. A technician measuring noise at the Anderson Hay & Grain silo. A potential source of noise at the Anderson Hay & Grain facility.